Please click on Mini-Converters from the Products Menu and choose HDMI for current alternatives. USB port used with supplied cable and Mini-Config software application to configure device via Mac or Windows. 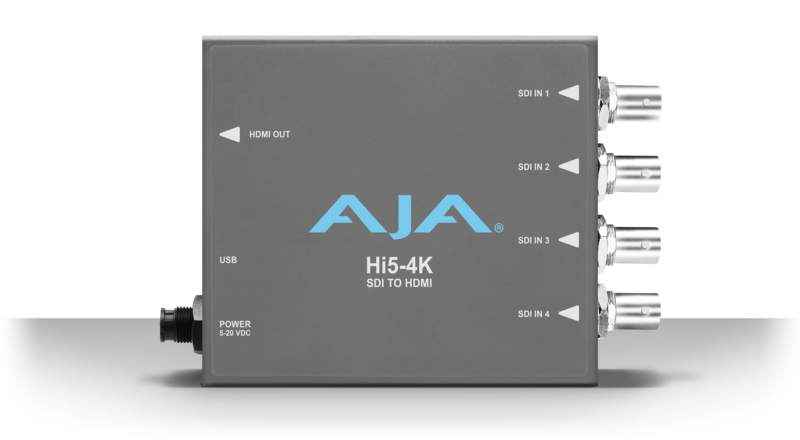 *NOTE: Hi5-4K uses approximately 12 watts of power and convection cooling. It will be very warm to the touch, which is normal. When installing the unit, mount in a location where it has access to air for proper cooling. Do not stack the Hi5-4K-Plus with other Mini-Converters.